From Hardship To Success, The Miller Organization Celebrates It’s 10-Year Anniversary! We celebrated the 10-year anniversary of my company this past Thursday. I launched the business in 2008 in the midst of an awful economic and real estate depression. I invested my entire life savings to get the business off the ground. Continue reading From Hardship To Success, The Miller Organization Celebrates It’s 10-Year Anniversary! I Love CVille Has Raised More Than $117,300 For Charlottesville, Virginia Charities Over The Last 10 Years! Continue reading I Love CVille Has Raised More Than $117,300 For Charlottesville, Virginia Charities Over The Last 10 Years! 11 Reasons To Enjoy Junction’s Brunch On Easter Sunday In Charlottesville, Virginia! Continue reading 11 Reasons To Enjoy Junction’s Brunch On Easter Sunday In Charlottesville, Virginia! Top 17 Reasons To Join The Anytime Golf Club, Charlottesville And Central Virginia’s First 24/7 Indoor Golf Club! 1. On Location At Anytime Golf Club With Carl Seelman, PGA! Continue reading Top 17 Reasons To Join The Anytime Golf Club, Charlottesville And Central Virginia’s First 24/7 Indoor Golf Club! Self Serve Dog Wash Coming Soon To Animal Connection! Continue reading Self Serve Dog Wash Coming Soon To Animal Connection! Get To Know Chris Humphrey, The Culinary Superstar Who Is The Owner And Executive Chef Of Fellini’s Restaurant! We spotlighted Executive Chef Chris Humphrey of Fellini’s Restaurant in this I Love CVille feature story. Chef Chris advanced to the Final Four of the “Duel Chef Showdown,” where he will face Executive Chef Curtis Shaver of Hamiltons’ At First & Main. Continue reading Get To Know Chris Humphrey, The Culinary Superstar Who Is The Owner And Executive Chef Of Fellini’s Restaurant! Get To Know Curtis Shaver, Executive Chef Of Hamiltons’ At First & Main, General Manager And Co-Owner Of Peloton Station! We spotlighted Executive Chef Curtis Shaver of Hamiltons’ at First & Main in this I Love CVille feature story. 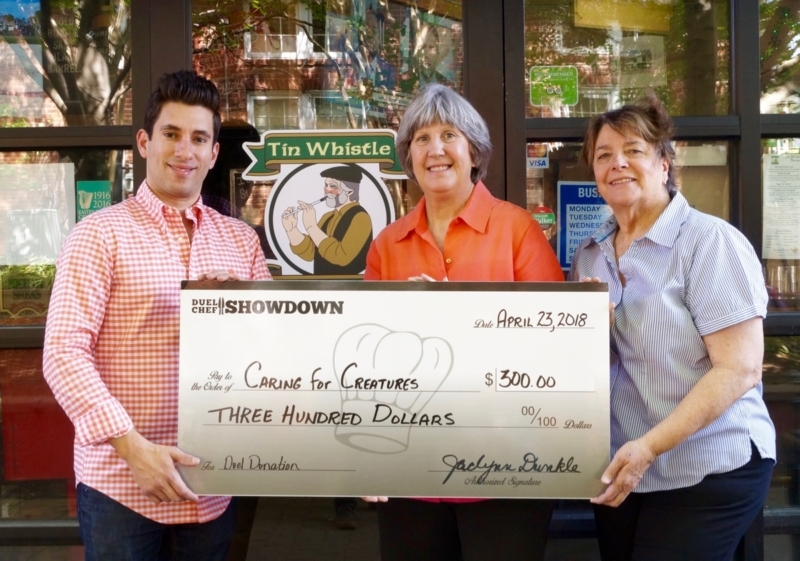 Chef Curtis advanced to the Final Four of the “Duel Chef Showdown,” where he will face culinary superstar Chris Humphrey, the executive chef and owner of Fellini’s. Continue reading Get To Know Curtis Shaver, Executive Chef Of Hamiltons’ At First & Main, General Manager And Co-Owner Of Peloton Station! Let Back 40 Restaurant & Timbercreek Market Cater Your UVA Graduation, Weddings, Easter & Birthday Parties! 1. Cater Your Event With Back 40 Restaurant And Timbercreek Market! Continue reading Let Back 40 Restaurant & Timbercreek Market Cater Your UVA Graduation, Weddings, Easter & Birthday Parties! I Love CVille And VMV Brands Have Raised More Than $113,000 For Charlottesville And Central Virginia Non-Profits! 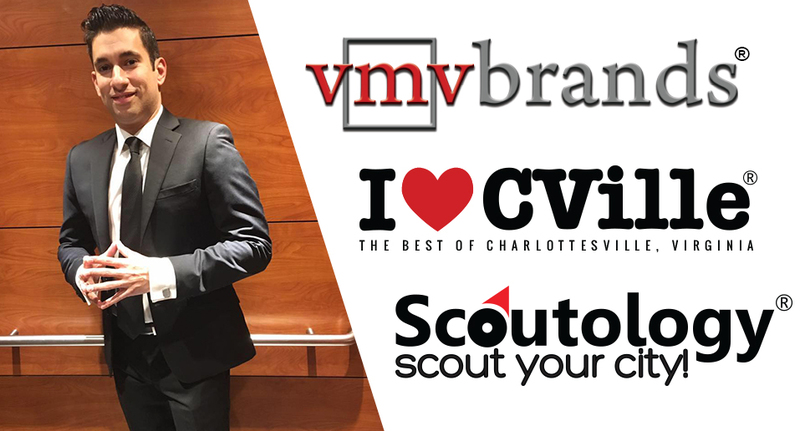 Continue reading I Love CVille And VMV Brands Have Raised More Than $113,000 For Charlottesville And Central Virginia Non-Profits!